The Full Deck system is our most basic and economical decking system available. The Full Deck system is our most basic and economical decking system available. 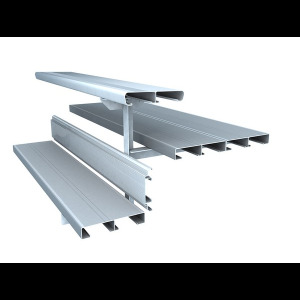 Aluminum extrusions are fastened to the understructure to provide a solid walking surface with a gap (less than a 4” sphere) between the footboards and vertical risers - allowing debris and liquids to drop underneath the stands.